This article has been deprecated in favor of a new method article which you can view here. For a complete, detailed argument reference, refer to the technical documentation page. You can find detailed information about the various modules here. 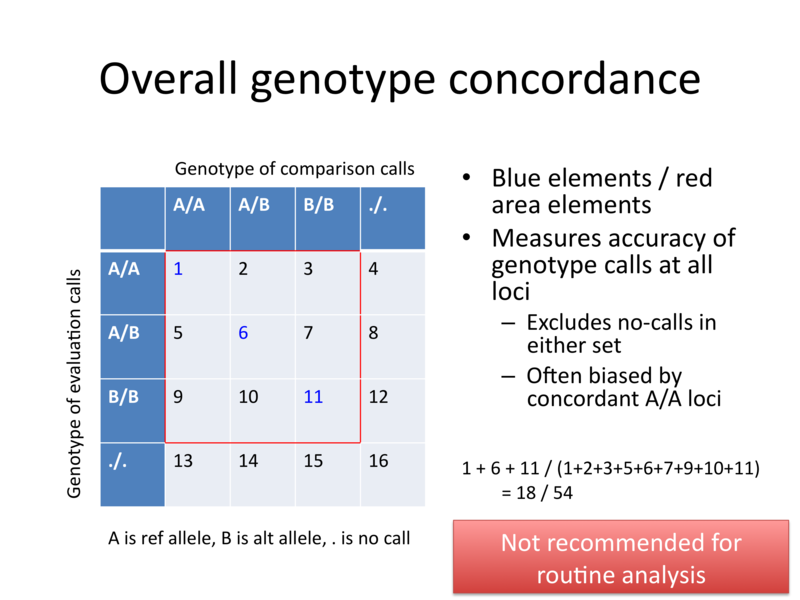 Note that the GenotypeConcordance module has been rewritten as a separate walker tool (see its Technical Documentation page). 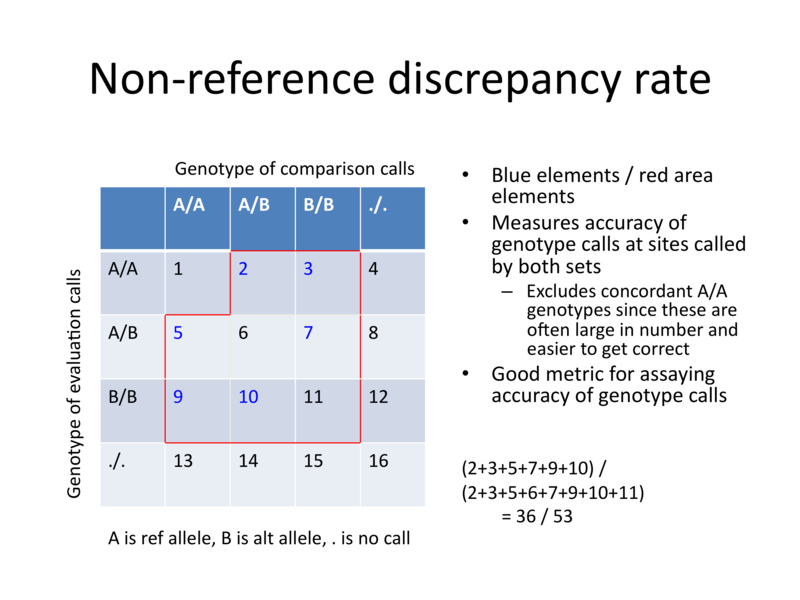 We in GSA often find ourselves performing an analysis of 2 different call sets. 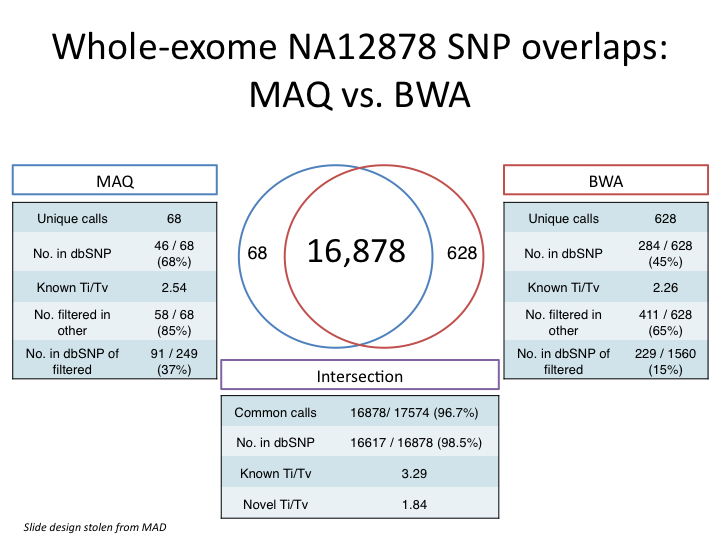 For SNPs, we often show the overlap of the sets (their "venn") and the relative dbSNP rates and/or transition-transversion ratios. The picture provided is an example of such a slide and is easy to create using VariantEval. Assuming you have 2 filtered VCF callsets named 'foo.vcf' and 'bar.vcf', there are 2 quick steps. This will provide you with a list of all of the possible values for 'set' in your VCF so that you can be sure to supply the correct select statements to VariantEval. The VariantEval output is formatted as a GATKReport. 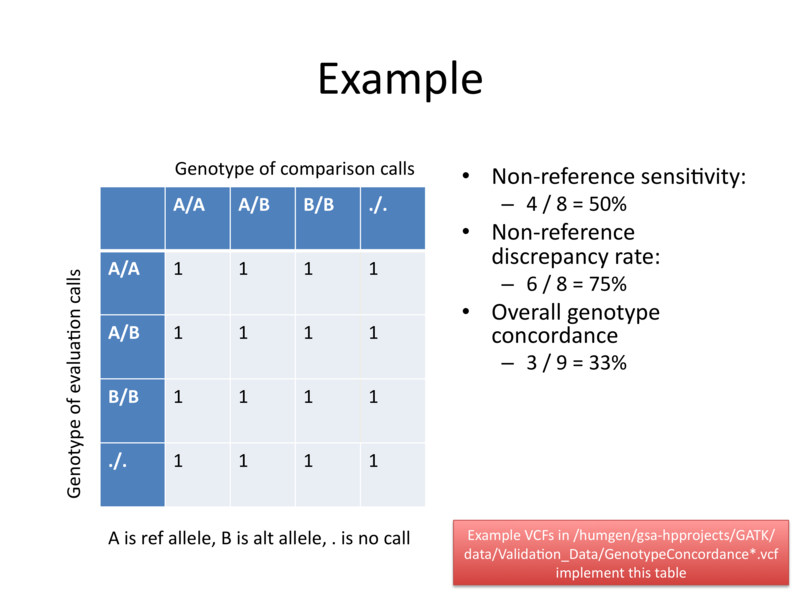 The VariantEval genotype concordance module emits information the relationship between the eval calls and genotypes and the comp calls and genotypes. 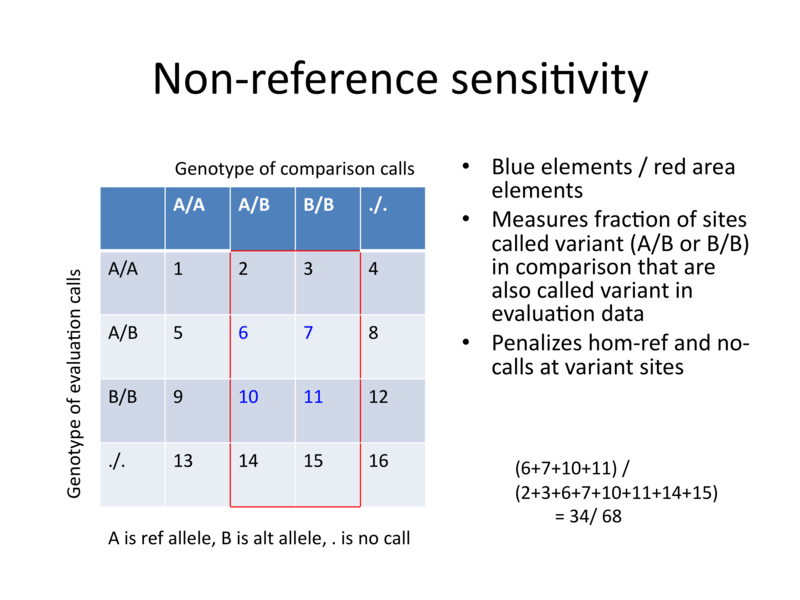 The following three slides provide some insight into three key metrics to assess call sensitivity and concordance between genotypes.